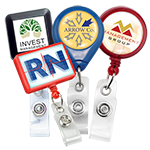 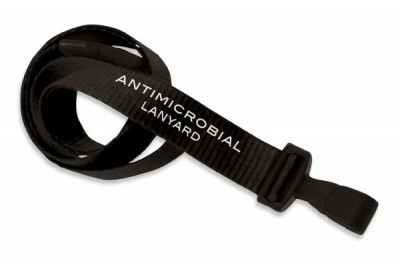 The anti-microbial material and the breakaway feature make this lanyard perfect for hospitals. This MicroWeave lanyard with plastic no-twist hook is made from durable, easy-to-grip ribbed polyester. 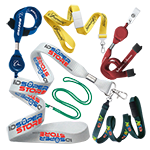 It includes a break away clasp, which snaps off of the wearer in unsafe situations. 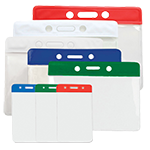 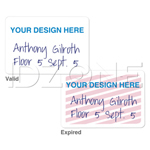 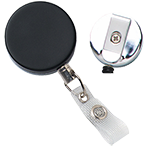 The wide plastic no-twist hook ensures that the ID remain facing forward. 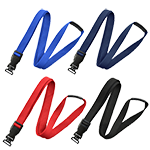 This lanyard is available in black, royal blue, and red.